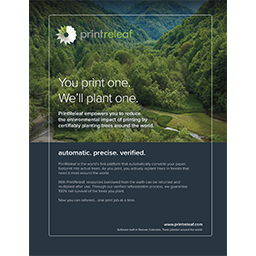 PrintReleaf | You print one. We'll plant one. 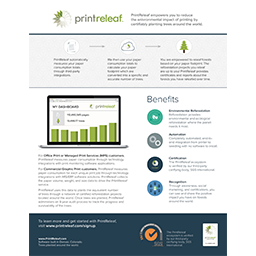 PrintReleaf and EFI have partnered to provide the PrintReleaf reforestation service directly to commercial printers. EFI is the industry-leading developer of printing industry production workflow software that streamlines the print production process and boosts printer productivity. PrintReleaf's Certified Global Reforestation Partner, Trees, Water & People, has activated the Pine Ridge Reservation as PrintReleaf's first U.S.-based reforestation project. Is Your Favorite Magazine PrintReleaf Certified? Now it can be through our new partnership with Publication Printers. 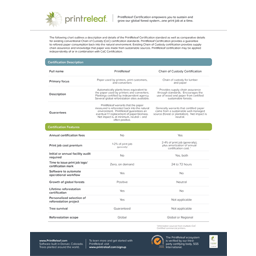 Find an Authorized PrintReleaf Partner or get in touch with sales to become an Authorized PrintReleaf Partner.